Theravāda (pronounced — more or less — "terra-VAH-dah"), the "Doctrine of the Elders," is the school of Buddhism that draws its scriptural inspiration from the Tipitaka, or Pali canon, which scholars generally agree contains the earliest surviving record of the Buddha's teachings. For many centuries, Theravada has been the predominant religion of continental Southeast Asia (Thailand, Myanmar/Burma, Cambodia, and Laos) and Sri Lanka. Today Theravada Buddhists number well over 100 million worldwide. In recent decades Theravada has begun to take root in the West. The Buddha — the "Awakened One" — called the religion he founded Dhamma-Vinaya — "the doctrine and discipline."  To provide a social structure supportive of the practice of Dhamma-Vinaya (or Dhamma for short [Sanskrit: dharma]), and to preserve these teachings for posterity, the Buddha established the order of bhikkhus (monks) and bhikkhunis (nuns) — the Sangha — which continues to this day to pass his teachings on to subsequent generations of laypeople and monastics, alike. As the Dhamma continued its spread across India after the Buddha's passing, differing interpretations of the original teachings arose, which led to schisms within the Sangha and the emergence of as many as eighteen distinct sects of Buddhism. One of these schools eventually gave rise to a reform movement that called itself Mahayana (the "Greater Vehicle") and that referred to the other schools disparagingly as Hinayana (the "Lesser Vehicle"). What we call Theravada today is the sole survivor of those early non-Mahayana schools. To avoid the pejorative tone implied by the terms Hinayana and Mahayana, it is common today to use more neutral language to distinguish between these two main branches of Buddhism. Because Theravada historically dominated southern Asia, it is sometimes called "Southern" Buddhism, while Mahayana, which migrated northwards from India into China, Tibet, Japan, and Korea, is known as "Northern" Buddhism. The language of the Theravada canonical texts is Pali (lit., "text"), which is based on a dialect of Middle Indo-Aryan that was probably spoken in central India during the Buddha's time. Ven. Ananda, the Buddha's cousin and close personal attendant, committed the Buddha's sermons (suttas) to memory and thus became a living repository of these teachings. Shortly after the Buddha's death (ca. 480 BCE), five hundred of the most senior monks — including Ananda — convened to recite and verify all the sermons they had heard during the Buddha's forty-five year teaching career. Most of these sermons therefore begin with the disclaimer, "Evam me sutam" — "Thus have I heard." After the Buddha's death the teachings continued to be passed down orally within the monastic community, in keeping with an Indian oral tradition that long predated the Buddha. By 250 BCE the Sangha had systematically arranged and compiled these teachings into three divisions: the Vinaya Pitaka (the "basket of discipline" — the texts concerning the rules and customs of the Sangha), the Sutta Pitaka (the "basket of discourses" — the sermons and utterances by the Buddha and his close disciples), and the Abhidhamma Pitaka (the "basket of special/higher doctrine" — a detailed psycho-philosophical analysis of the Dhamma). Together these three are known as the Tipitaka, the "three baskets." In the third century BCE Sri Lankan monks began compiling a series of exhaustive commentaries to the Tipitaka; these were subsequently collated and translated into Pali beginning in the fifth century CE. The Tipitaka plus the post-canonical texts (commentaries, chronicles, etc.) together constitute the complete body of classical Theravada literature. Pali was originally a spoken language with no alphabet of its own. It wasn't until about 100 BCE that the Tipitaka was first fixed in writing, by Sri Lankan scribe-monks, who wrote the Pali phonetically in a form of early Brahmi script. Since then the Tipitaka has been transliterated into many different scripts (Devanagari, Thai, Burmese, Roman, Cyrillic, to name a few). Although English translations of the most popular Tipitaka texts abound, many students of Theravada find that learning the Pali language — even just a little bit here and there — greatly deepens their understanding and appreciation of the Buddha's teachings. No one can prove that the Tipitaka contains any of the words actually uttered by the historical Buddha. Practicing Buddhists have never found this problematic. Unlike the scriptures of many of the world's great religions, the Tipitaka is not regarded as gospel, as an unassailable statement of divine truth, revealed by a prophet, to be accepted purely on faith. Instead, its teachings are meant to be assessed firsthand, to be put into practice in one's life so that one can find out for oneself if they do, in fact, yield the promised results. It is the truth towards which the words in the Tipitaka point that ultimately matters, not the words themselves. Although scholars will continue to debate the authorship of passages from the Tipitaka for years to come (and thus miss the point of these teachings entirely), the Tipitaka will quietly continue to serve — as it has for centuries — as an indispensable guide for millions of followers in their quest for Awakening. 1. Buddhist Religions: A Historical Introduction (fifth edition) by R.H. Robinson, W.L. Johnson, and Thanissaro Bhikkhu (Belmont, California: Wadsworth, 2005), p. 46. 2. This estimate is based on data appearing in CIA World Factbook 2004. South Asia's largest Theravada Buddhist populations are found in Thailand (61 million Theravadans), Myanmar (38 million), Sri Lanka (13 million), and Cambodia (12 million). 3. Buddhist Religions, p. 46. 4. Mahayana today includes Zen, Ch'an, Nichiren, Tendai, and Pure Land Buddhism. 5. Guide Through The Abhidhamma Pitaka by Nyanatiloka Mahathera (Kandy: Buddhist Publication Society, 1971), pp. 60ff. 6. A third major branch of Buddhism emerged much later (ca. 8th century CE) in India:Vajrayana, the "Diamond Vehicle." Vajrayana's elaborate system of esoteric initiations, tantric rituals, and mantra recitations eventually spread north into central and east Asia, leaving a particularly strong imprint on Tibetan Buddhism. See Buddhist Religions, pp. 124ff. and chapter 11. 7. Modern scholarship suggests that Pali was probably never spoken by the Buddha himself. In the centuries after the Buddha's death, as Buddhism spread across India into regions of different dialects, Buddhist monks increasingly depended on a common tongue for their Dhamma discussions and recitations of memorized texts. It was out of this necessity that the language we now know as Pali emerged. See Bhikkhu Bodhi's Introduction in Numerical Discourses of the Buddha (Walnut Creek, CA: Altamira Press, 1999), pp. 1ff, and n. 1 (p. 275) and "The Pali Language and Literature" by the Pali Text Society (http://www.palitext.com/subpages/lan_lite.htm; 15 April 2002). 8. Great Disciples of the Buddha by Nyanaponika Thera and Hellmuth Hecker (Somerville: Wisdom Publications, 1997), pp. 140, 150. 9. Buddhist Religions, p. 48. 10. The Hindu Vedas, for example, predate the Buddha by at least a millennium (Buddhist Religions, p. 2). 11. Buddhist Religions, p. 77. 12. Anandajoti Bhikkhu, personal communication. © "What is Theravada Buddhism?". Access to Insight (Legacy Edition), 30 November 2013, http://www.accesstoinsight.org/theravada.html .